Good luck with the ICO. I know I'm in. Been following you guys since last year. Solid team, great product. And I think developing your own blockchain instead of just making a token was the right choice. Hellooo, where is Airdrop as mention in the title of first post? You can expect stake in the network itself, yes. They actually made a decision to basically modify the number available as well. Those buying in are getting a higher % than before. One could say they are "on sale" because of this (in a way) since buyers actually receive a higher % of the stake per BTC than before. where is your roadmap? you need to add a roadmap so that participants are not confused in following this project. you need to add token details for this project to make it more clear and attract investors to join. Great point. These guys do have one and last i checked they were way ahead. Something they should definitely be doing to help people understand. It IS a bit of a shame that they are not showing that they are ahead of schedule on roadmap because it gives people lots of confidence. Thanks for offering those thoughts. Her testnet is live! Rewards are in SMOKE. Thank you kwest1! We appreciate the support and look forward to seeing you on the network. We have added our roadmap here, as well as updated on the website. . . We always think it is best to underpromise, yet over deliver. Are you building your own blockchain? I've been following a few coins since around August, and I must say you guys have impressed. Keep up the solid work.. And keep us updated on mainnet smoke blockchain! When we SMOKE 4 real I will be happy. Smoke get paid, repeat huh? 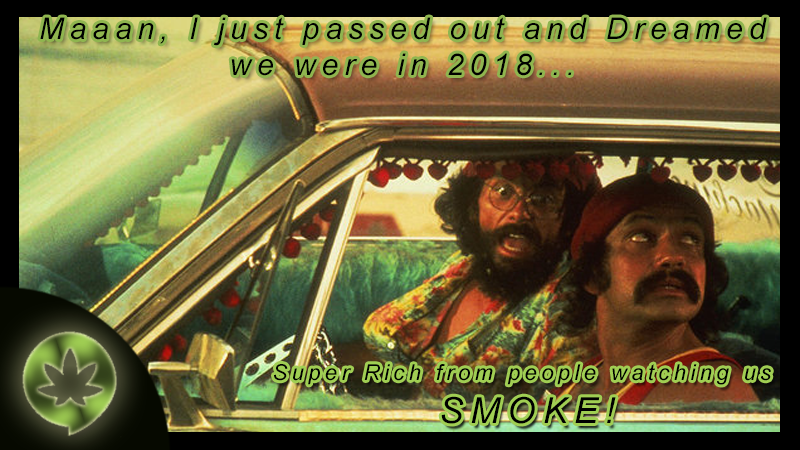 Smoke.Network is a Delegated Proof of Stake (DPoS) blockchain tailored to the needs and wants of cannabis users and SMOKE is the coin that powers it. To learn more read our whitepaper. Our first minimal viable product (MVP), Smoke.io is currently in development and is scheduled to be released in Q3 2018 along with our mainnet blockchain. At Smoke Network we respect all cannabis cryptocurrencies in the scene and their ideas for a better future with cannabis. That said, we have been careful to position ourselves as the only decentralized cannabis social network on the market and the only cannabis project aimed at the social networking and media space. We are also the only project in which we believe our Coins have direct utility value on our social network for the average user. Our blockchain is a fork of Steem based on a delegated proof of stake blockchain (similar to EOS and Bitshares, etc). (Delegated Proof of Stake). In this model instead of miners like on Ethereum and Bitcoin we have witnesses and proof of stake consensus. The new rewards are daily put into a reward pool that is then split as follows: 75% goes to the reward pool to reward users on the platform, 15% goes to holders of smoke and 10% goes to the miners. This model has worked great for Steem as users have to Power Up their coins in order to vote on where the daily rewards go as well as vote on who should be the block producers. This creates an environment whereby anyone that powers up has stake in the network and can influence where and how new coins are distributed via voting on content. Long term holders also get issued 15% APR in SMOKE Power if they have vested Smoke. Vested SMOKE (Smoke Power) cannot be sent or moved, only used to vote.